An affecting father - daughter drama set within the world of baseball scouting, Trouble With The Curve has plenty of spirit and wisdom, although the edges of the story are a bit too tidy. Gus Lobel (Clint Eastwood) is a legendary old-school scout, working for the Atlanta Braves. With age catching up to him and his eyesight beginning to fail, Lobel nevertheless insists on scouting the old way, eschewing computers and spreadsheets in favour of hours spent in minor league ball parks to get a true sense of what a player is capable of. Gus has a strained relationship with his daughter Mickey (Amy Adams), a lawyer striving to make Partner at her firm. Pete Klein (John Goodman) is the Braves' head of scouting and appreciates Gus' instincts, but even he starts to consider not renewing the contract of the veteran scout. With the entry draft fast approaching, Gus is assigned to scout top prospect Bo Gentry, an obnoxious power hitter. Pete asks Mickey to accompany Gus for a few days, to make sure that the old man's failing health does not get him into trouble. Reluctantly, Mickey agrees and joins her dad on the road trip. Among the troop of scouts also keeping tabs on Bo is Johnny Flanagan (Justin Timberlake), a former pitcher whose career ended early due to injury. Johnny and Mickey hit it off, but Gus resents Mickey's presence. As they travel between the small ball parks of the Carolinas, Mickey tries to get her father to open up and address the issues that ruined their relationship, but Gus is not the type who can easily communicate. As the trip winds down, both Gus and Mickey find their careers hanging in the balance, and their futures may hinge on properly assessing Bo's true potential. Trouble With The Curve concludes with all loose ends tied-up into pretty little bows, all the conflicts and future uncertainty settled into happy packages. The more mean characters get what they deserve, Gus and Mickey define their destiny, and a silent, humble pitching prospect suddenly emerges as the real thing, as discovered by the genuine talent spotters. The Randy Brown script (surrounded by a bitter controversy related to its true origins) turns sharply towards the land of fairy tales, and forgoes any attempt at a more mature denouement. But what precedes the final 20 minutes is much better. The tale of an old school father and his modern daughter provides plenty of material for a rich examination of generational gaps and parental responsibility. Gus' unwillingness to talk about the past or get with the future leaves him vulnerable to be left behind by work and family. With failing health, all he has to rely on are his skills and instincts, irreplaceably assembled from years of hands-on life experience. 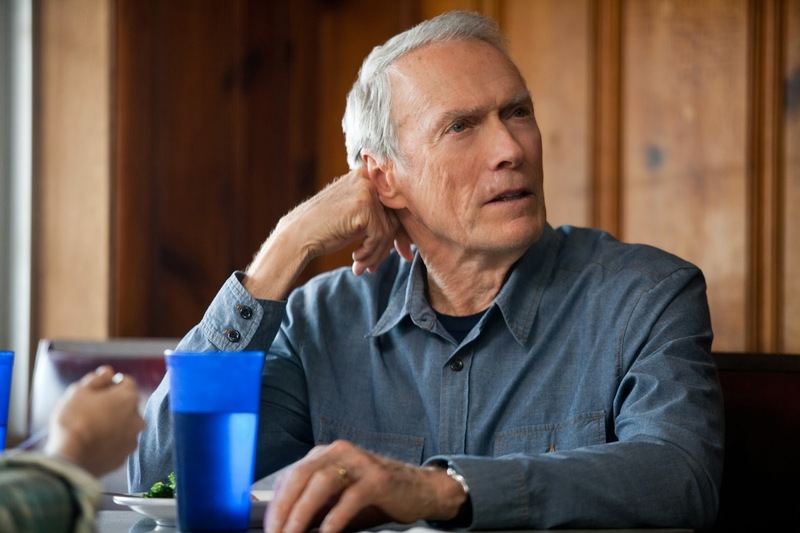 Eastwood, at the remarkable age of 82, creates in Gus Lobel a lovable curmudgeon, abrasive, impatient and set in his ways. He is also funny, convinced of his ability, and confident that he still has what it takes to assess young talent. Well paced by producer-turned-director Robert Lorenz, Trouble With The Curve inhales deeply from the essence of minor league baseball. Intimate ball parks, back country roads, crammed bus trips, expectant parents, small, never-renovated motels, and roadside diners make up Gus' world, and it's where he is most comfortable. Surprisingly at first, Mickey also fits easily into this milieu, temporarily but effortlessly trading in the shiny corporate glitz for garish bed sheets and smoke-filled beer joints, much to her Dad's disgust. A chip of the old block despite his protestations, America's most precious pastime will provide the final opportunity for father and daughter to reconnect. 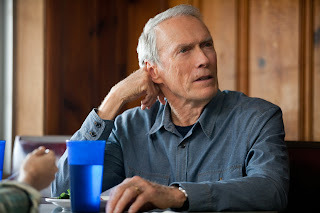 Amy Adams as Mickey has the feistiness to take on Eastwood's Gus, and doggedly pursue relationship repairs in the face of all his dismissive grunting. The truth, once revealed, recasts the heroes and villains of her life, and Mickey's short road trip to keep an eye on Gus turns into a major fork in the road of life. Trouble With The Curve has a bit of trouble with the ending, but is an otherwise smooth pitch.